Metformin is one of the most popular drugs in the diagnosis and treatment of type 2 diabetes. This drug works really well with overweight or obese people. This is not for all overweight people but for those who still have their internal organs still working, particularly the kidneys. The drug is so popular in the United States that almost 35 million prescriptions were filled in 2006 alone. There are only two oral anti-diabetics in the world at the present time and metformin is one of those. Without metformin many diabetic sufferers would have to use a needle to regulate their blood sugar. If someone is obese or overweight they usually have poor insulin resistance. This medicine is the only anti-diabetic that will reduce the cardiovascular complications diabetes that is common in overweight patients. By taking this medicine may lose a little weight, but unlike other diabetic medicines metformin does not make you gain weight. As an added benefit this medicine also reduces your levels of LDL and triglycerides. Not only does metformin reduced insulin resistance, and also helps the side effects of those disorders that cause poor insulin resistance. Metformin is the main ingredient in the prescription drug Actoplus Met. Combined with pioglitazone, metformin works symbiotically to reduce insulin resistance and to lower blood sugars. This is following the trend of medical research to combine drugs with similar qualities to produce more potent and usable drugs. Combination represents been successful in reducing cholesterol, reducing the chance of heart attack, and other beneficial medical conditions. Remember that metformin and Actoplus Met are both used for only diabetes type 2 and not diabetes type 1. It is not advisable under any circumstances to take metformin or Actoplus Met if you have type 1 diabetes. 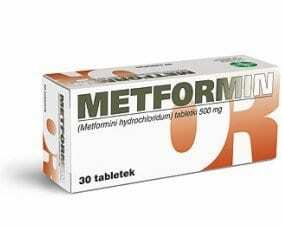 Metformin must be used as the doctor prescribed. You should be able to look for signs of low blood sugar. If you feel exceptionally hungry or have headache this might be a sign that your blood sugar is low and it wills soon be followed by dizziness and tremors. If you really are having a low blood sugar problem you will start to sweat and your heartbeat will increase. In severe reactions you may have seizures or perhaps even pass out. It must be noted that severe hypoglycemia can be fatal. You need to monitor your blood sugar at all times and be ready to fix the problem if it arises. Metformin can be an effective medication that will help you manage you diabetes. As with all drugs, take the medication in accordance to your doctor’s instructions. Report any side effects to your physician immediately and do not try to treat yourself by changing the dosage. If you have kidney problems, let your doctor know before you take metformin and if kidney infection occurs during the taking of metformin contact your doctor. Any changes in weight or in eating habits should also be reported. With proper procedures you blood sugar level and your insulin can be regulated and get you back to a more normal lifestyle.